Updated Ranch in the popular Sunset Ridge. One level living with full unfinished basement. Large back yard with wonderful deck to enjoy the outdoors. Conveniently located to restaurants and shops. 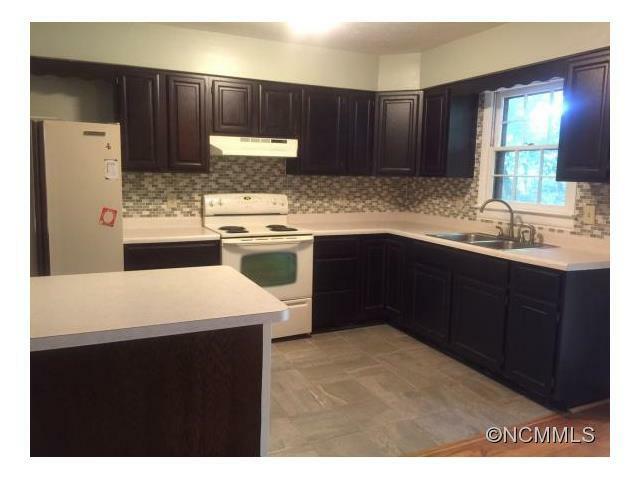 Master on main and updated kitchen are just a few details to this home. You will love this property. The things I love about Asheville: I love the beauty. I love the people. I love the weather. The summer is perfect. It isn't too hot, and if you love a little bit of cold weather, you are in luck. There are lots of outdoor activities in the summer and ski lodges are an easy drive away in the winter. The fall brings the leaves, and the mountain views are always available. The Blue Ridge Parkway always has something special awaiting. We love to eat almost anywhere in Asheville. The food is amazing! Breakfast is my favorite meal and Asheville has some of the best. Sunny Pointe, Early Girl, Over Easy, Biscuit Head, and Another Broken Egg which is close to the house in Biltmore Park. A lot of the restaurants have outside eating. It's nice to sit out in the beautiful Asheville weather and socialize with friends and family. You have your pick of grocery stores. There are two Ingles very close. An Earth Fare in front of ingles. A new Aldi opened up just miles away. On the way to downtown is a new Fresh Market and just past downtown is Trader Joe's and Green Life. A new Publix just opened right down the road as well. Lowes, Target, Best Buy, Petsmart, Barnes and Noble, Office Depot, are only a few miles away. When we bought the property we were drawn to the privacy the neighborhood afforded and the convenient location in South Asheville. The large backyard and winter views were perfect for relaxing on the back deck. The full basement allowed for ample storage. The neighborhood and setting make you feel like you are tucked away on a mountain side (and you are!). The Asheville area is wonderful because of the views, the leaves, the people, the feel. Downtown is always fun. It is beer city USA. There is always music and many festivals. Each part of Asheville; North, South, East, and West has its own little culture. There is tons of art, and always street performers downtown. Down in South Asheville, you are close to Biltmore Park and another shopping center down airport road. Hendersonville and the apple festival is a quick drive south. The airport is 4 miles away and so is the fair grounds. You are very close to I-26 and I-40. Downtown Asheville is less than 10 miles away while West Asheville is a 20 minute drive away. A few other things of note are the Biltmore House, and a minor league baseball team in downtown Asheville. Cherokee, about an hour away, showcases the native American culture and has Harrah's Casino. Hot springs, 45 minutes northeast, has natural hot springs in a serene setting. Asheville is in a good location to a lot of other things we like to do. It is 2 hours from Charlotte, 3 hours from Atlanta, and a little less than 5 hours from Nashville. Charleston is a 4 hour drive down I-26. There is Lake James and Lake Lure 45 minutes away. Skiing slopes are also 45 minutes away. The Blue Ridge Parkway runs right through Asheville and is a beautiful drive in either direction. We enjoy hiking, touring the breweries, and going to hear different live music. There are some good yoga studios. A hobby (though I'm not sure if you should call it that) in the summer is floating down the French Broad River. We do it almost every other weekend! There are festivals constantly planned as well. Our neighborhood is quiet and very friendly. It is an animal loving neighborhood. There are always neighbors out walking their dogs. It is a great neighborhood to exercise in because of the hills. The scenery coming into the neighborhood was one of my favorite things about it. One level living with with mature natural surroundings. 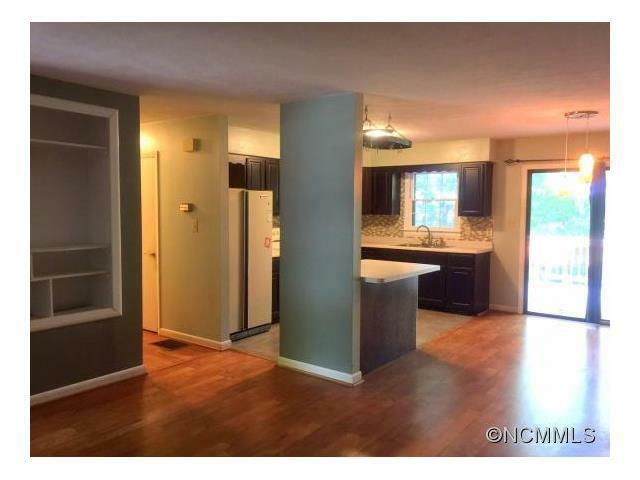 Open plan with updated kitchen cabinets, tile back splash and lighting. Unfinished basement is a plus while proximity to amenities is convenient. Love the setting of this house! Wonderful lot and great interior to match. Mountain home at an affordable price. One level beauty on a fabulous wooded lot! Love the open interior and updated kitchen! This is a great home and a fantastic location. I love the deck and the yard. What a great home with such beautiful touches. The location makes this one very appealing. 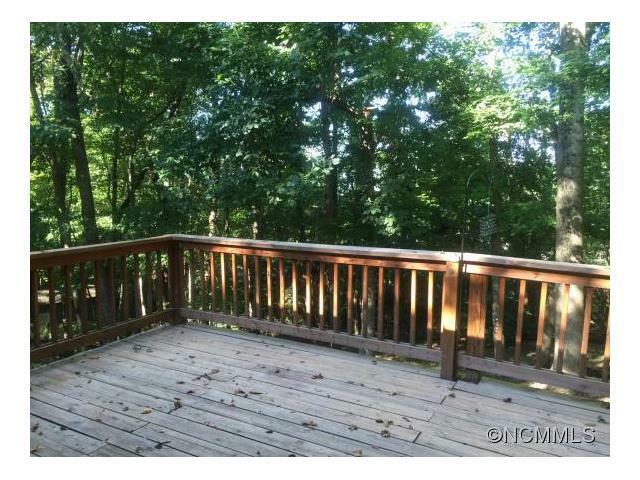 Awesome property with private woodsy feel, love the kitchen and back deck! This home has the feel of being in a natural setting while still being convenient to the city. If you want a great location with privacy and interior updates, this is the home for you. What a great setting, and you can enjoy it from the great deck. The kitchen is absolutely gorgeous! Nicely updated home on a lovely lot. This is a nice value in a great location and won't last long. Beautiful home! Love the layout and the scenery. This is definitely in a prime location! Cool house in the woods. Great floor plan on the main level. Basement ads more posibilities. Exactly what buyers are looking for. One level living with full unfinished basement. Large back yard with wonderful deck to enjoy the outdoors. This is a nice home with a covered front porch and a large back deck. This home has an open floor plan and an unfinished basement. What a cute mountain home. you get the feel of the mountains with a gorgeous renovated interior! Endless possibilities with the unfinished basement. Great Arden location! Lots of light and beautiful hard wood floors - love the big deck! Cute & quaint private mountain retreat with a spacious deck for entertaining. Great home with large back deck. Nice wooded lot with open floor plan. Unfinished basement adds lots of potential in the future. This would make a great investment property. Asheville is short on rental properties and this would make a great one! This home would be great for having friends over, cooking a meal in that kitchen, and enjoying the privacy on the back deck! Great starter home or investment property for sure! What a beautiful setting with the wonderful feeling of seclusion but close to town! 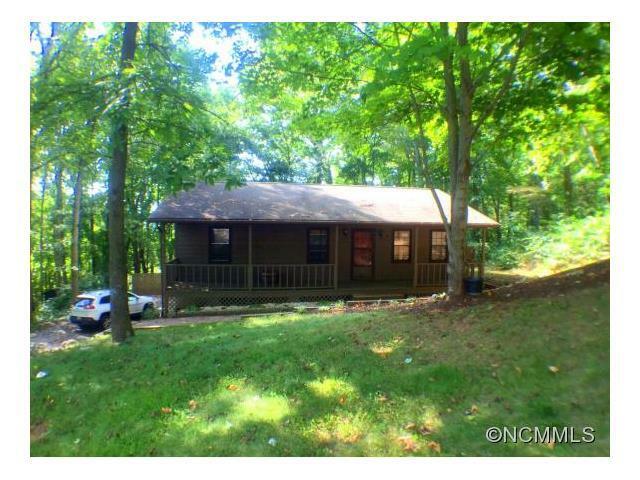 Beautiful hardwood floors, and spacious kitchen in this little cottage tucked back here in the woods of WNC. Nice open floor plan with a covered front porch and a large back deck. This home has everything on one level and an unfinished basement. Arden location is convenient to shopping and restaurants. Fantastic home. Love the layout and kitchen. Sit on the deck and enjoy the privacy and peacefulness. Great private setting and a beautiful deck to enjoy quiet evenings. Lots of updates inside and a great open floor plan. Amazing home set in a great area. Great cabinets and hardwood floors.